Jonathan Neitzke, of Port Washington, passed away unexpectedly in the early morning hours of Tuesday, August 14, 2018 at Aurora Medical Center in Grafton with his mom and dad by his side. He was 41 years old. Jon was born in Port Washington on April 3, 1977, son of Theodore Neitzke III and Julie Frick Neitzke. 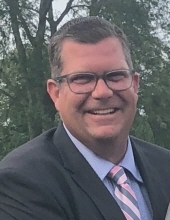 Jon grew up in Port Washington, attending school at St. Mary’s, Thomas Jefferson Middle School and graduated from Port Washington High School with the class of 1996. After high school Jon attended UW Milwaukee and worked at the Country Club of Wisconsin (Fire Ridge) and other positions in the hospitality industry. Jon is most famously known for managing Beanie’s Restaurant in Port Washington where he could be found serving, laughing and entertaining his customers and staff. He is beloved for his kindness, generosity, sense of humor and willingness to do anything for anyone. Jon was a past member of the Port Washington Main Street Board of Directors. He was a passionate photographer and could often be found taking photos around the Port Washington area and at his niece and nephew’s sporting events. Jon is survived by his parents Ted and Julie Neitzke III of Random Lake, two brothers Ted (Megan) Neitzke IV of Port Washington and Fr. Tom Neitzke, SJ of Omaha, NE. He is further survived by his favorite nephew Theodore “Charlie” Neitzke V and favorite niece Grace Neitzke, both of Port Washington, aunts and uncles: Gregg (Kathy) Neitzke of Phoenix, AZ, Valerie Nichols of Cedarburg, Susan (Bruce) Simon of Oshkosh, Marsha Hubert of Brookfield and Lloyd (Eden) Frick of Richfield, cousins, other relatives and many friends. He is preceded in death by his grandparents Theodore and Helen Neitzke II and Lloyd and Virginia Frick. A Mass of Christian Burial will be celebrated on Friday, August 17th at 6:00 PM at St. John XXIII Parish St. Peter of Alcantara Church, Port Washington. Jon’s brother, Fr. Tom Neitzke, SJ will preside over the Mass. He will be laid to rest at St. Mary’s Cemetery, Random Lake. Visitation will take place at the CHURCH on Friday, August 17th from 3:00 -5:45 PM. In lieu of flowers, memorials are suggested to the family. To send flowers or a remembrance gift to the family of Jonathan J. Neitzke, please visit our Tribute Store. "Email Address" would like to share the life celebration of Jonathan J. Neitzke. Click on the "link" to go to share a favorite memory or leave a condolence message for the family.